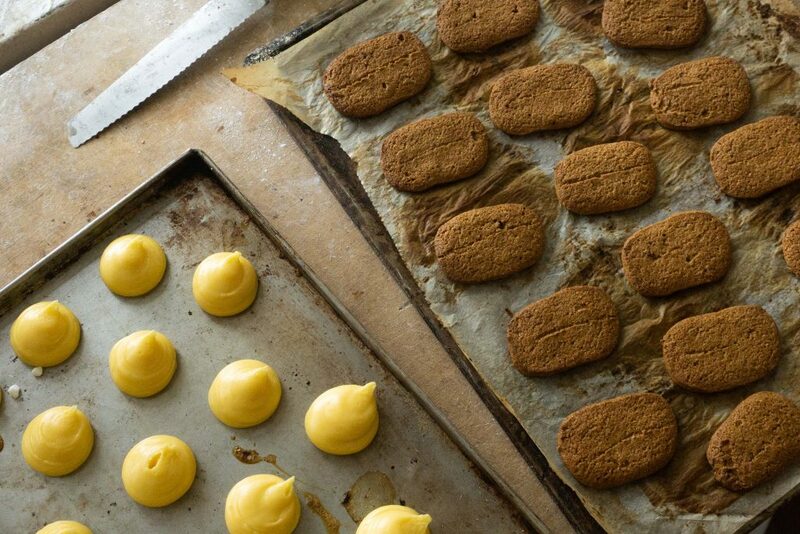 When I get to the Yum Yum Monkey lab at 10 in the morning, Yoan Mabit is already halfway into baking the day’s goods. He motions to me to go inside, and I pass by an outdoor fire oven where two trays of baguettes are slowly baking, their crusts turning smoky from being licked by the smoke. I tail him as he rushes to bake the bread—a fast-paced flurry of activity with pots and pans being banged and flung—so I could ask him questions during the brief interludes of peace at the kitchen. 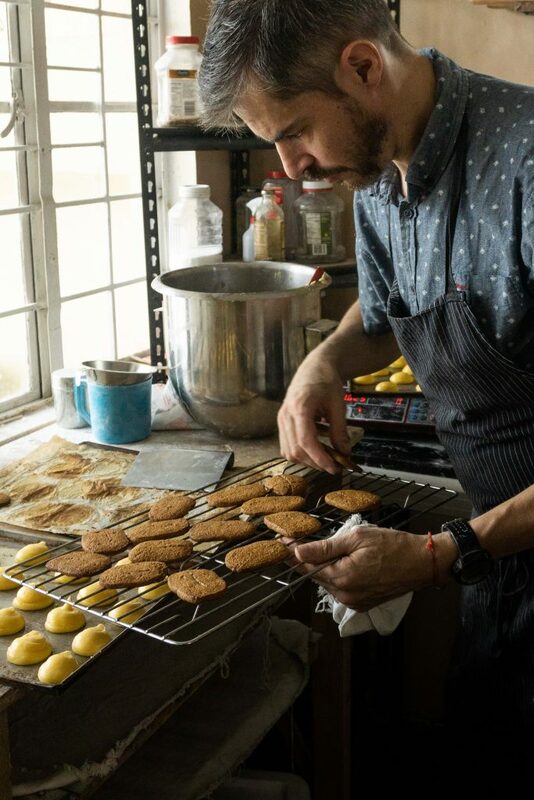 He is careful to note that his bread isn’t 100 percent authentic: Being in the Philippines, he’s had to adapt to the ingredients available to him. “Organic flour is very hard to find here,” he says as an example. Still, it’s as close as you can get here. 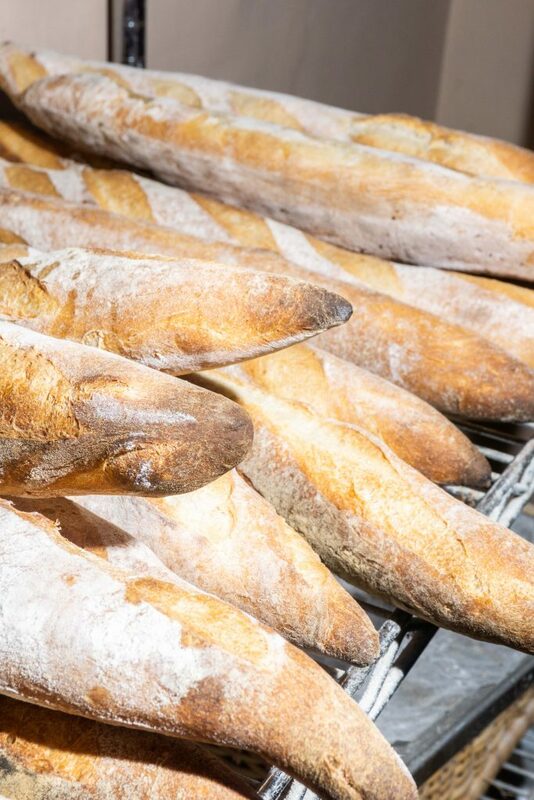 There’s the aforementioned croissant and baguette, but there’s also the sourdough bâtard, a smaller and softer variant of baguette that packs in as much flavor. 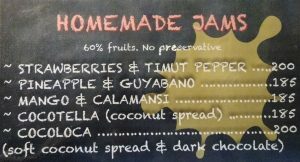 If you’re getting the bread, also get a jar of his homemade jam. I slathered on the strawberry and timut pepper jam onto a slice of croissant, and the bread practically sung. The flavor was good, but it was the texture of the jam that sold me. The little fruity and peppery rinds worked really well on the crumbly slice. Aside from the hearty bread and jam, Yum Yum Monkey also serves light pastries. 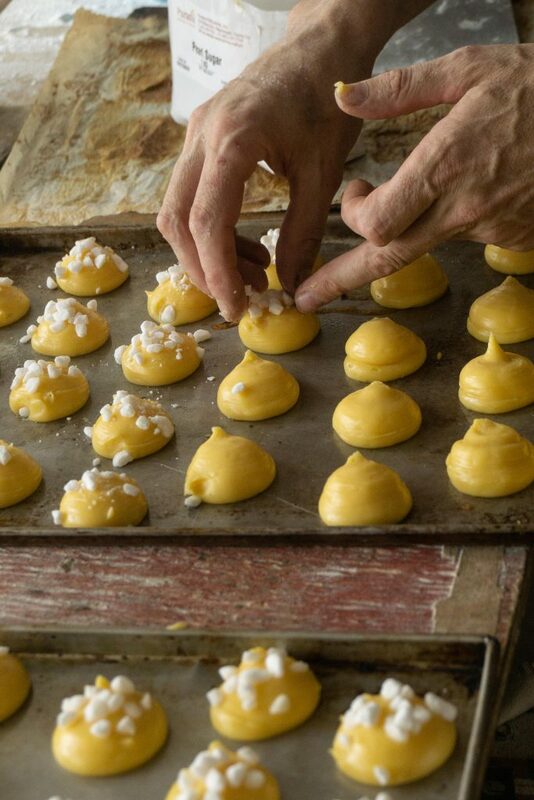 While I was there, I caught him making delicate little choquettes, the light Choux pastry sprinkled with nuggets of pearl sugar. They’re popular with the younger students of the French school, Mabit says. His bread, in general, are fairly popular within the school. 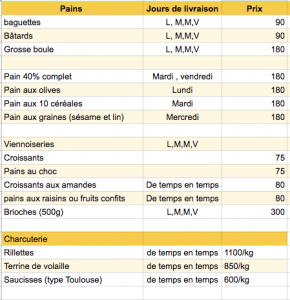 Not surprising: considering the quality of the bread, the prices are very generous. 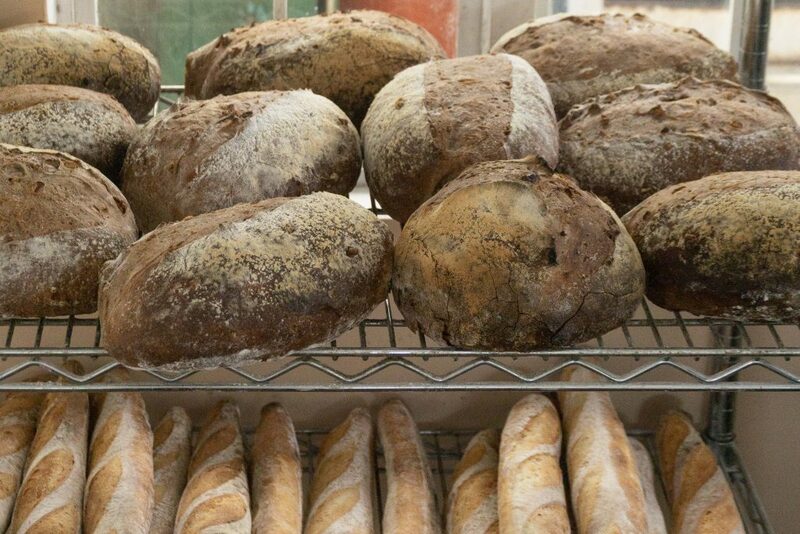 If you’re in the Better Living area and you want a taste of good French bread, it wouldn’t hurt to stop by the bakery at the French School of Manila. 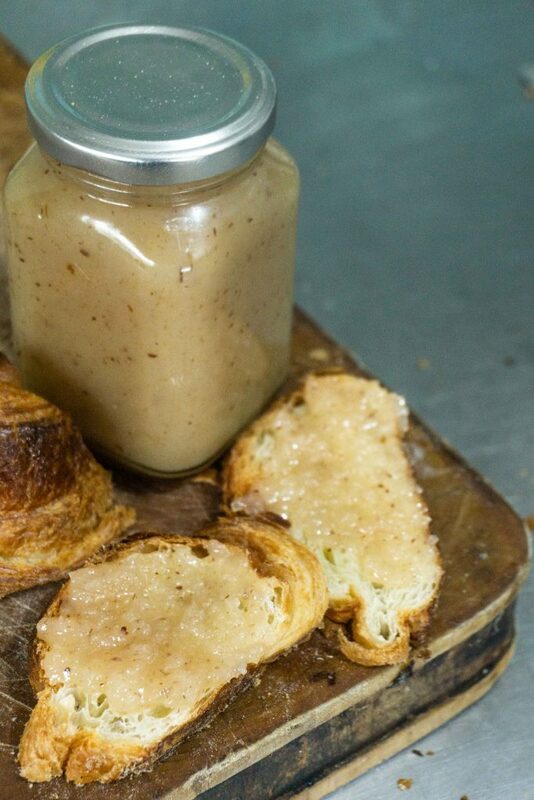 Get their crumbly and flaky croissant and slather it with their strawberry and timut pepper jam. This breakfast combo will replace your peanut butter and jelly sandwich.